Kolisch Hartwell welcomed first-year Lewis & Clark Law School students to an open house. 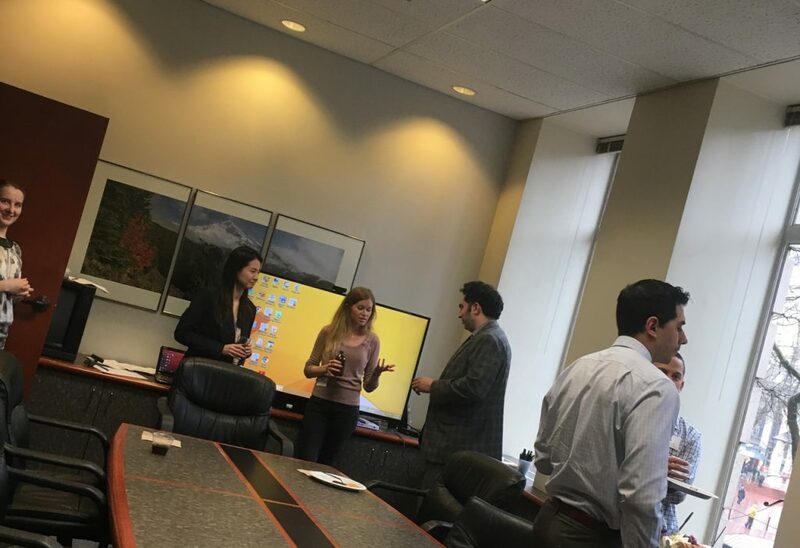 Attorneys talked with students about the practice of intellectual property law, what it’s like to work at a small to mid-size firm, and what Kolisch Hartwell looks for when hiring attorneys. James Abney, Edward Anderson, Shawn Kolitch, Peter Sabido, Dave Bourgeau, Kimberly Fisher, and Rowena Held are all alumni of Lewis & Clark. Soojeong Ji will graduate from Lewis & Clark Law School in May.